Members of the subclass archosaur, crocodilians have been discovered in the same rock layers as popular dinosaurs. The Protosuchus crocodile has been found in the Triassic and Deinosuchus in the late Cretaceous. Some of these specimens appear from their hip and leg bones to be more agile (even able to walk bipedally) and arguably better “fit” than today’s varieties. A fossil crocodilian has been found with molars, giving evidence that the ancient ancestors were omnivorous (again exhibiting loss of function over time). 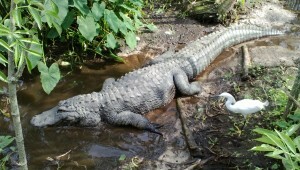 Crocodilians are found in Australia, tropical Africa, Asia, and in parts of the Americas. They can swim or float along the surface of the water with only their eyes and nostrils exposed. Most crocs hunt at night and bask through the day. You may be surprised to learn that crocodiles can chirp much like a bird. (Listen and hear for yourself.) 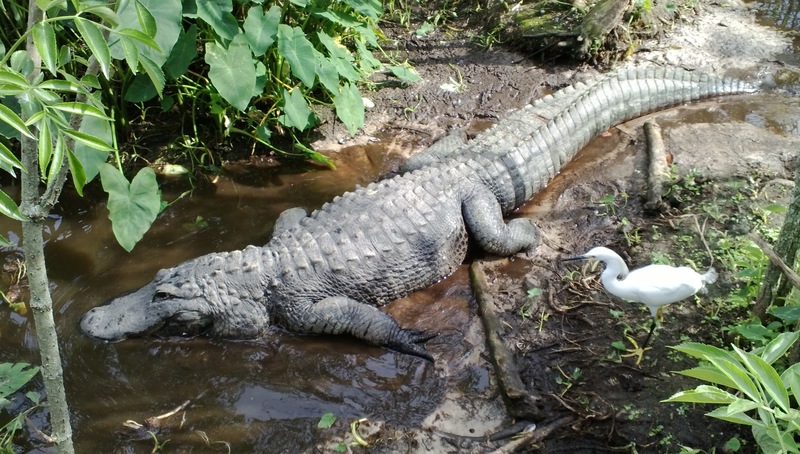 Learn more about specific crocodilians on the links below.